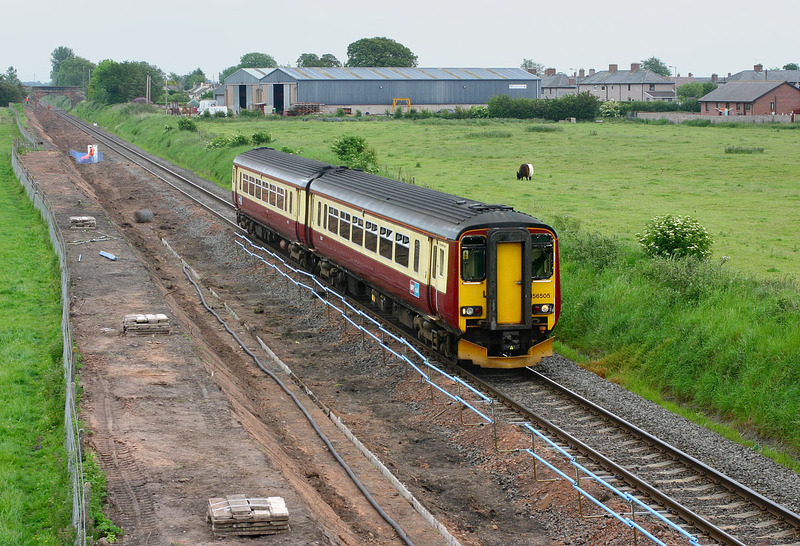 156505 approaches the site of Eastriggs station on 8 June 2007 with the 13:09 Carlisle to Glasgow Central First ScotRail service. The earthworks are in connection with reinstating the double track between Gretna and Annan to increase capacity for extra freight traffic. Obviously modern health and safety rules require the temporary fencing, just in case the workers don't realise there is a operational line just next door to where they are working!